30 weeks down and just 10 weeks to go! I had a great long weekend. We got to spend time with family and even got some shopping in. If you follow me on twitter, you know that Forever21 had maternity clothes on clearance PLUS buy one get one free. So I got a good amount of clothes to hold me over a little longer for a great deal. The gray skinny jeans in the pic above were on clearance for $16.99 and the black tank was free. I just love a good deal! 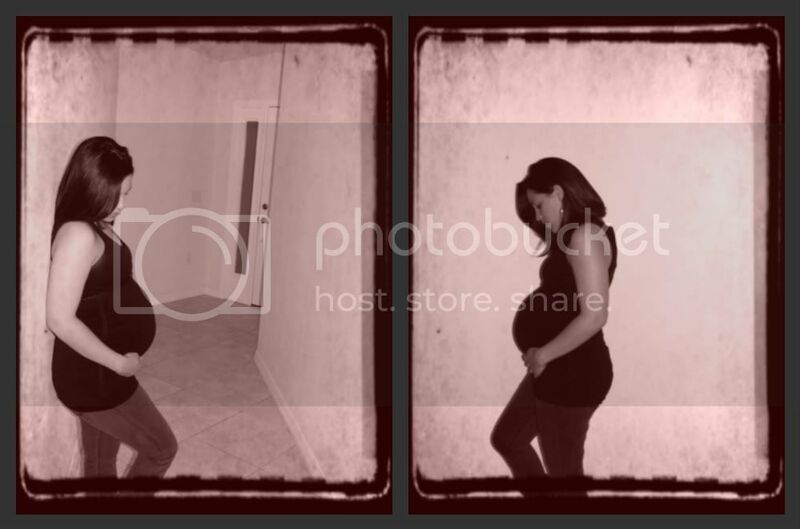 I love the baby bump pictures! Can't wait to have some of my own! You look great!! Only 10 more weeks to go! Thanks! 10 weeks seems like such a small number, doesn't it?